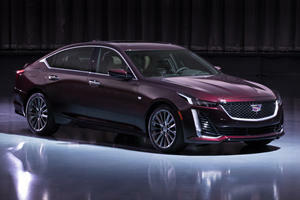 Debuting at the 2019 New York Auto Show, the first-ever Cadillac CT5 has arrived as a replacement for the CTS in the luxury carmaker’s lineup. 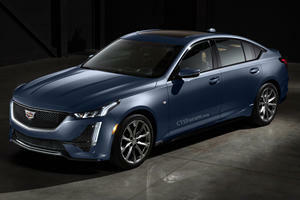 With styling inspired by the CT6 and Escala concept, the CT5 rides on the same Alpha platform underpinning the CTS, ATS and Chevy Camaro with power coming from a choice of two engines. A 2.0-liter turbo-four comes standard while buyers will have the option of a 3.0-liter twin-turbo V6. 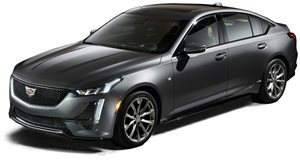 A ten-speed automatic is the sole transmission option with power sent to the rear wheels with the option of AWD to arrive down the line. Output figures and performance specifications have yet to be revealed. 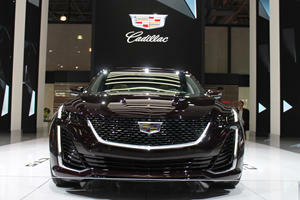 However, in the CT6 the engines produce 237 hp and 258 lb-ft of torque, and 404 hp and 400 lb-ft of torque. We suspect the CT5 will boast very similar numbers. Pricing has also yet to be announced. Forget the ATS and CTS. This new fastback sedan is stunning.